This month’s Featured Artist at the Artists’ Studio Association in Lincoln City could be accused of having an unfair advantage‚ what with having 120 arms. Throughout March, the association will be showcasing work from the 60 young students in this winter’s Art Smart program. Art Smart kids have been meeting every Saturday since mid-January and have created some amazing art work, including a three-dimensional, rotating galaxy — The Galaxy Artastica. Art Smart offers art classes to kids aged seven to 13, and as young as six if accompanied by an adult. The classes are based around a story that unfolds throughout the 15-week series. This year’s theme is an outer space adventure set in the Galaxy Artastica. The classes feature a different type of art each week, such as sculpture, painting, drawing, collage, engineering, stop-gap animation and more. Students learn about concepts like light and shadow, color theory, texture, line quality, space and composition. Art Smart classes are every Saturday, except March 30, through April 27, with three class times offered: 10:30 am to noon; 1 to 2:30 pm; and 3 to 4:30 pm. 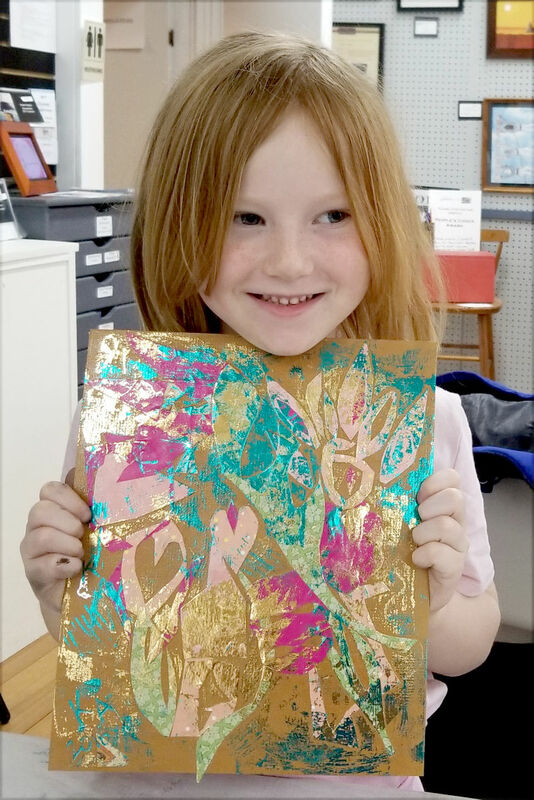 Thanks to funding from Lincoln County Cultural Coalition and generous donations from the community the full series costs just $15 per child, or $5 per week for drop ins. The Artists’ Studio Association is located at 620 NE Hwy. 101. For more information, go to www.asaart.org, call instructor Krista Eddy at 541-992-4292 or email k.eddyalexander@gmail.com.